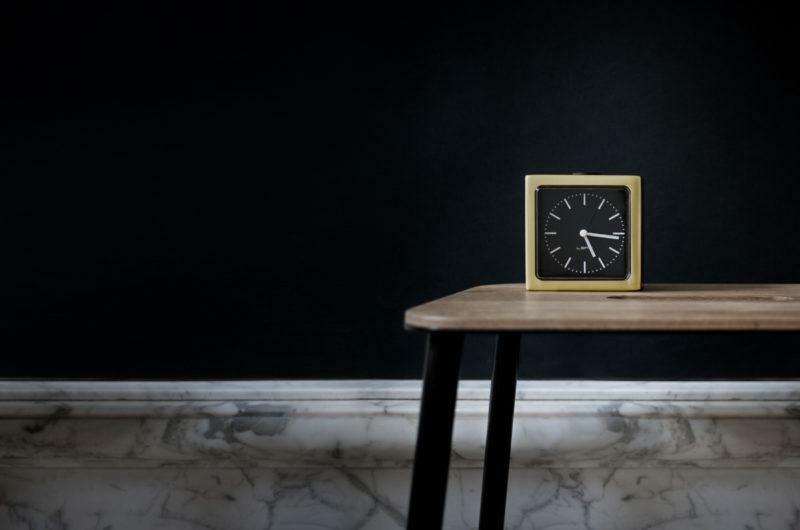 Block Alarm Clock – Brass/Black. 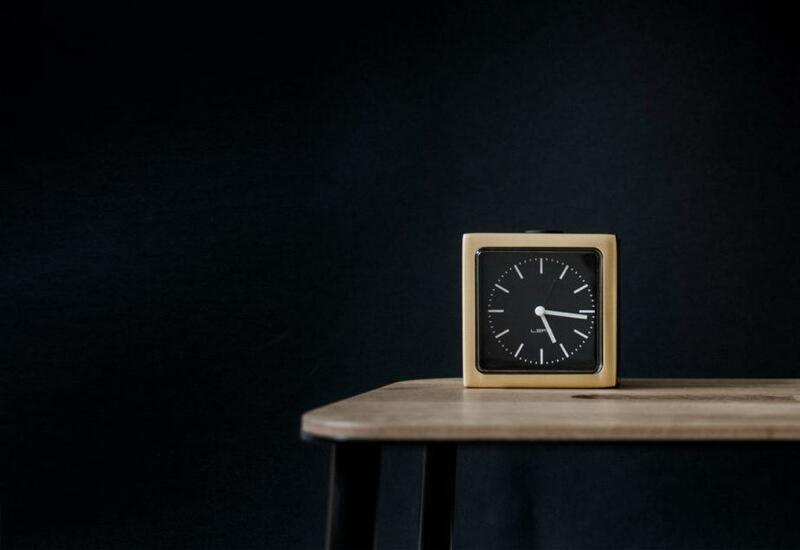 Block is an alarm clock with a small but strong appearance. A fusion of aesthetics and functionality, and a compromise between delicacy and robustness. The design is simple, but with a lot of surprising details. 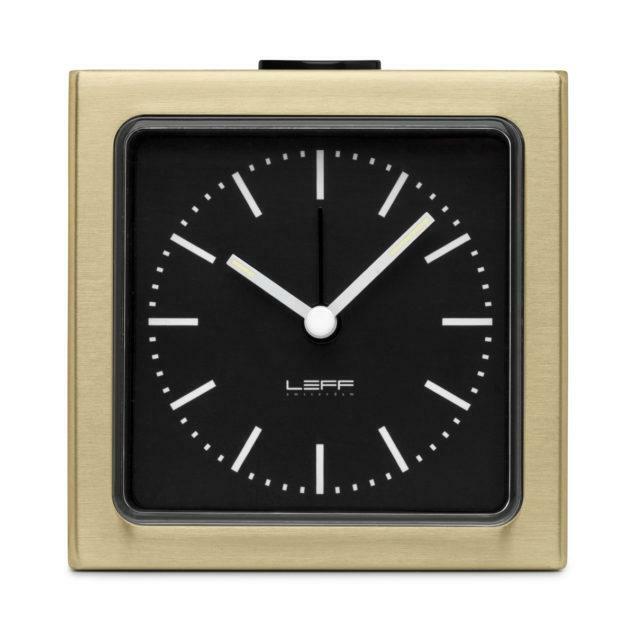 At night the fluorescent hands will become visible and the whole dial can be lit up by pushing the snooze button on top. Alarm movement. 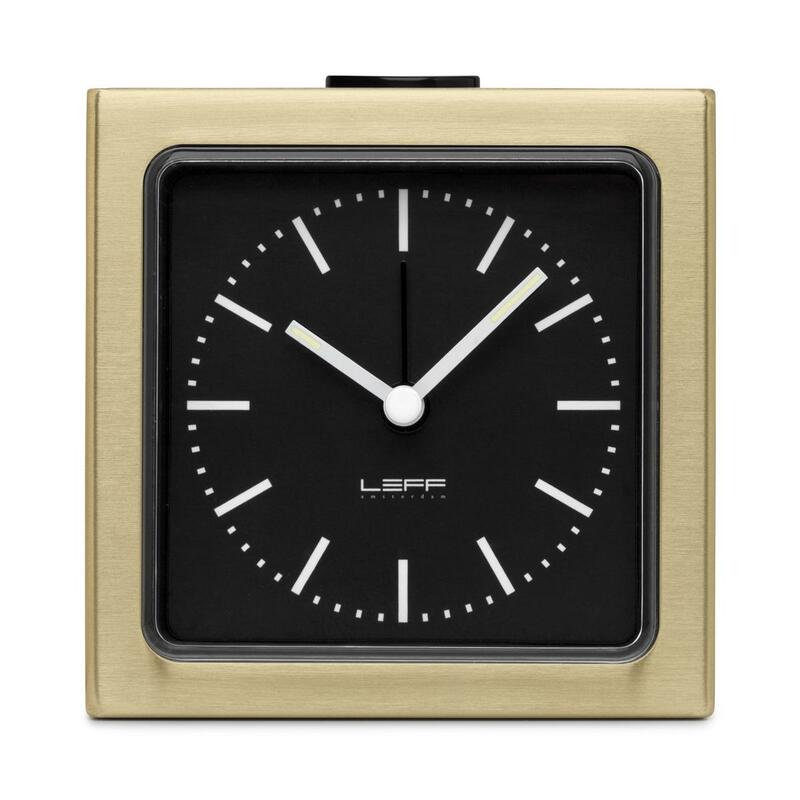 Takes 1 AA battery (included) Comes with a 5 year warranty from Leff amsterdam.